Daryl Johnson (Worcester Park, United Kingdom) on 14 November 2008 in Architecture. 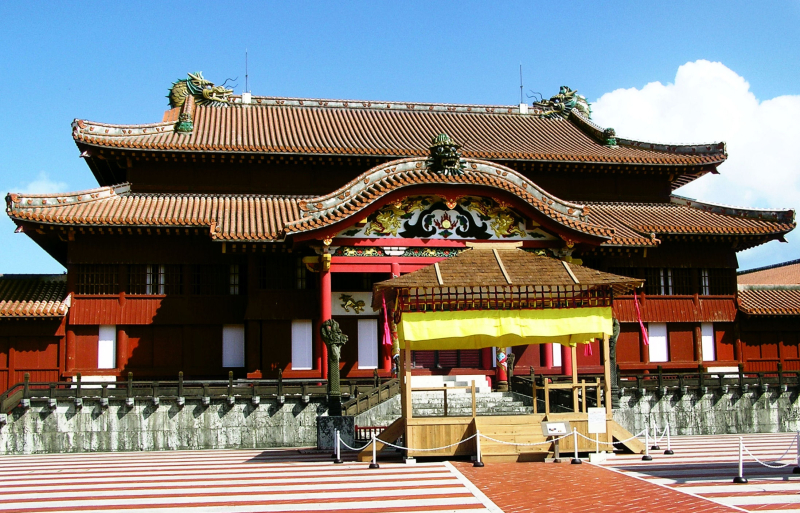 Into Shuri castle's forecourt now. Seiden means main hall. @Laurie: It's a great building isn't it Laurie? This is superb Daryl. I love the architecture! @standley: Thanks standley. It's a lovely building isn't it? That's a beautiful building. Isn't red unusual for such a building? @Steve Rice: It was pretty common for the Ryukyu kingdom Steve... they weren't Japanese! They had close ties to China (the Chinese Emperor used to crown the Ryukyuan kings). wonderful colors! and beautiful building! Pretty majestic building, wonderful ornate decoration too. @Observing: Thanks Mike, got some close-ups of some of the decorations coming soon!